With week 7 coming to a close I’ve highlighted two teams for this weekend to keep an eye on if you’re smart/lucky enough to have a League Pass membership. After a slow start to the season (2-7), Dallas has been one of the hottest teams of late, going 8-2 over their last 10 games. This weekend they face a real test in playing the two Los Angeles teams on Friday and Sunday. The Mavs have been considerably better at home than on the road so far this year, so Friday night against the Lakers in LA is a real chance for them to show they can get a quality road win (the Lakers are also 7-3 in their last 10 games). 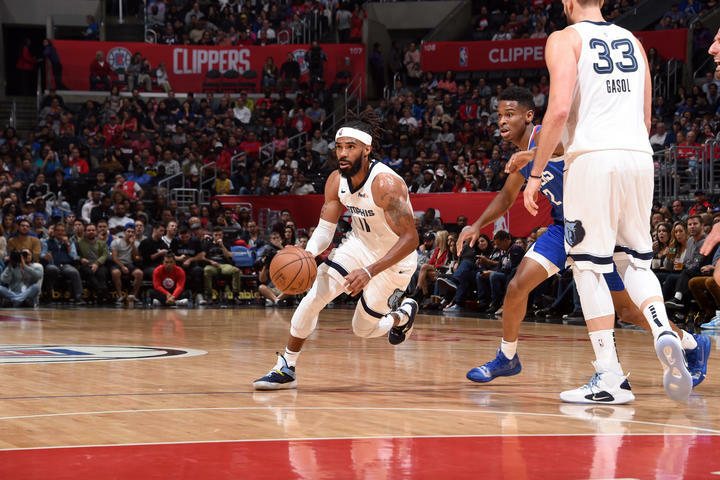 After Friday’s game, they head home to square off with a Clippers team that has gone 9-1 in their last 10 games and holds the best record in the Western Conference. Can Luka Doncic and the Dallas crew come away with the LA sweep this weekend? Last time they played the Lakers, Luka seemed star struck playing against LeBron and didn’t have his best performance but will need to look at James as a peer this time around if the Mavs want to make this weekend a success. The Grizzlies are also one of the hotter teams in the NBA right now and one of the early season surprises to most people (shout out to Pup for calling their success before the season started) as they’ve started 12-8 after only winning 22 games all of last season. This weekend, Memphis hits the road for a two game East Coast trip that includes Brooklyn on Friday and Philly on Sunday. Brooklyn’s record so far this season isn’t great, but having watched a few of their games I can tell you they play very hard and if you come in expecting a win, you could be in trouble. They follow up that game in Brooklyn Friday with a showdown in South Philly on Sunday, and we all know the Sixers record at home. The Wells Fargo Center has become known as one of the toughest places for opposing teams to play and the Grizz can expect a rowdy crowd on Sunday and a serious early season road test.